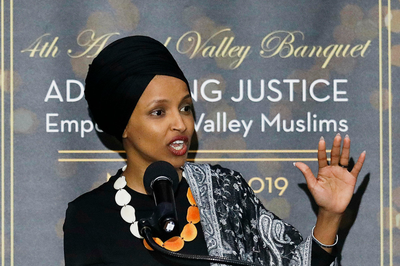 "Omar’s cavalier brushing off of the murder of thousands of innocents on 9/11 should shock all Americans, Muslims included." NYPost editorial today. @SohrabAhmari From your editorial: "To call them merely 'some people' is to deny a cancer festering in the world Muslim community." Yes, she's often cavalier. But your cover twisted her message, like a political ad. And your editorial targeted the "Muslim community."